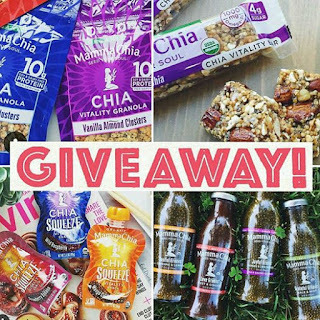 Fit Fluential Mom: Mamma Chia Giveaway! I've been telling you guys about my love of Mamma Chia products for some time now and I'm SUPER excited to announce a Mamma Chia giveaway! I am OBSESSED with their granola clusters and vitality bars! The kiddos and I love the Squeezes and my hubby is addicted to the beverages! All good stuff and good stuff for you! AND all stuff you can win!! 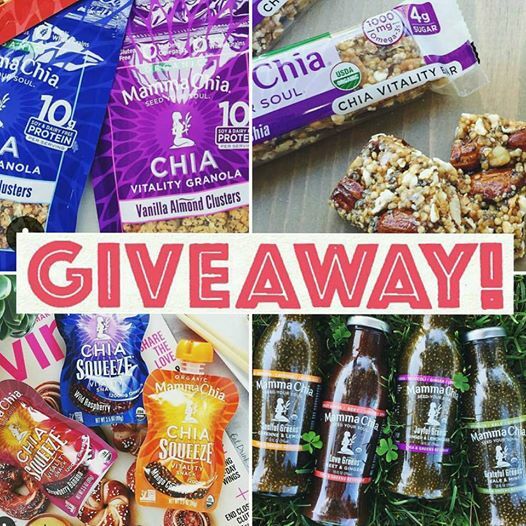 One lucky winner will receive OVER $100 in delicious Mamma Chia treats! 6. Get bonus entries for liking the Mamma Chia Facebook page and FitFluentialMom's Facebook page. This giveaway ends on Monday June 13th at 12pm PST, winner announced by Wednesday June 15th at 12pm PST. Good luck!